Skills Enhancement – In house coaching enables experienced, highly competent leaders to pass their expertise on to others who need to acquire specified skills. 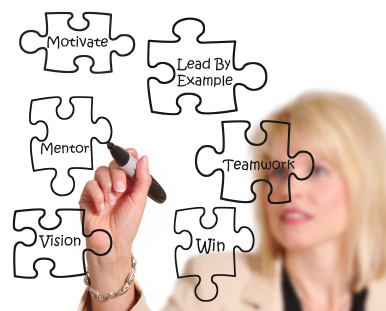 Leadership and Management Development -- Coaching encourages the development of leadership competencies. These competencies are often more easily gained through example, guided practice or experience than by education and training. Education Support -- Coaching helps bridge the gap between theory and practice. Formal education and training is complemented by the knowledge and hands-on experience of a competent coach. Organizational Development and Culture Change -- Coaching can help communicate the values, vision, and mission of the organization; a one-to-one coaching relationship can help employees understand the organizational culture and make any necessary changes. Onboarding -- coaching helps new recruits, trainees, or graduates settle into the organization. Professional Identity -- when younger employees are early in their careers, they need help understanding what it means to be a professional in their working environment. Professionals embody the values of the profession and are self-initiating and self-regulating. Coaches play a key role in defining professional behavior for new employees. Recruitment -- Coaching can enhance recruitment goals by offering additional incentives to prospective employees. Remediation—Coaching can help remediate poor performers. Retention -- Coaching provides an encouraging environment through ongoing interactions, teaching, and role modeling that facilitates progression within the organization; coaching has been found to influence employee retention because it helps establish an organizational culture that is attractive to the top talent clamoring for growth opportunities. Coaching is a tangible way to show employees that they are valued and that the company’s future includes them. The benefits of being a coachee are numerous. For the coachee, the coaching process can result in…. Builds workplace connections and a sense of belonging.